​“The proof is in the pudding.” How many times have you heard that? According to numerous sources, the original saying was “the proof of the pudding is in the eating.” What it meant was that you had to sample food to know whether it was good. It’s the same with technology; the true test of its value is in how it works for users. Microsoft CEO Satya Nadella reported in late July that users are choosing Office 365 at unprecedented rates. Office 365 now has 15-million subscribers, with nearly a million more signing up monthly. Satya also confirmed that four out of five Fortune 500 corporations currently use Office 365, and 50,000 new small- and medium-sized businesses adopt the service every month. 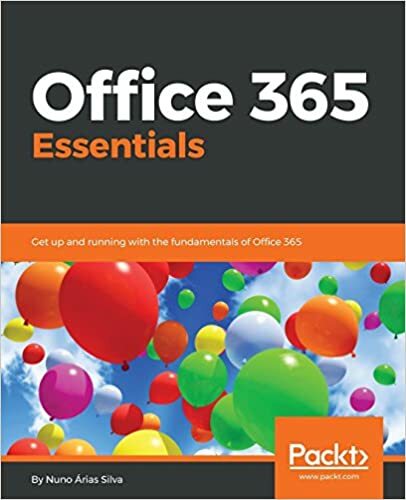 More recently, independent sources have determined that businesses favor Office 365 over other cloud services and that Office 365 now controls more than 25 percent of the enterprise market. User response to Office 365 reflects the strength of our ongoing work to continually improve the service with frequent updates, innovative features and new capabilities. Just yesterday, in fact, we announced that Microsoft has taken another big step toward its goal of reinventing productivity by agreeing to acquire VoloMetrix, a pioneer and leader in organizational analytics. VoloMetrix has done outstanding work using behavioral data and personalized feedback loops to transform individual and organizational productivity. Now, by combining VoloMetrix’s experience, technology and record of success with Office 365 and our previously announced Delve Organizational Analytics, Microsoft is providing tools that can help you objectively measure and prioritize your time at work, make better decisions, and be more productive. In addition, we recently released new and improved business analytics features for Excel 2016, so you can take full advantage of each capability as it applies to your unique business needs. In addition, this week we announced the general availability of Office UI Fabric, a responsive, mobile-first, front-end framework for developers, which is designed to make it simple to quickly create web experiences using the Office Design Language. Don’t take our word for it. The “proof” of Office 365 and its value to users is in your experience. Give it a try and see how it works for you. Office 365 gives Tastea the freedom to focus—Learn how the owners of this fast-growing beverage company are using Office 365 to keep their business in sync and on track. Sports apparel designer gears up for mobile productivity with Office 365—Find out how sports business Dakine uses Office 365 to support its far-flung mobile workforce. Enhancing global operations: Treasury Wine Estates moves to Office 365—Discover why this global wine company decided to migrate to Office 365. Okta customer research finds Office 365 most-used cloud service—Learn why Office 365 is the favorite cloud service of many businesses. How Office 365 changes the focus of technology service delivery—Find out how Office 365 allows customers and partners to focus on business outcomes instead of technology features.